Christmas Markets in London really are the best and in 2018 there is a massive array of exciting Christmas markets and festive events to discover and visit. There’s no better to way to get in the Christmas spirit then to visit a festive Christmas Market in London. Read our Christmas Markets Guide to find and visit London’s best Christmas Markets. Recommended markets include Christmas craft markets, Christmas Artisan markets and Christmas designer and maker markets. 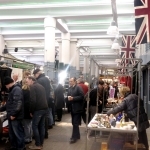 There are also some great Christmas Vintage markets to add some retro sparkle to the occasion. Shop local, shop independent, shop at London’s Christmas Markets in 2018! Here is our guide to which Christmas Markets in London you should visit. 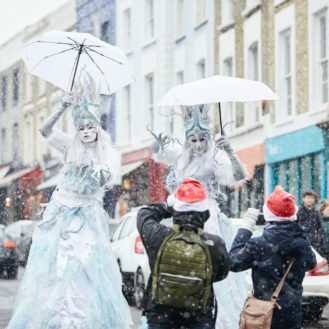 Portobello Winter Weekends showcases Portobello in all its festive glory this December. 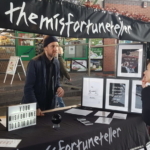 Throughout four weekends in December On Saturdays you’ll find the best of Portobello featuring designers, makers, vintage, antiques and collectables on Portobello Road and Portobello Green Market. 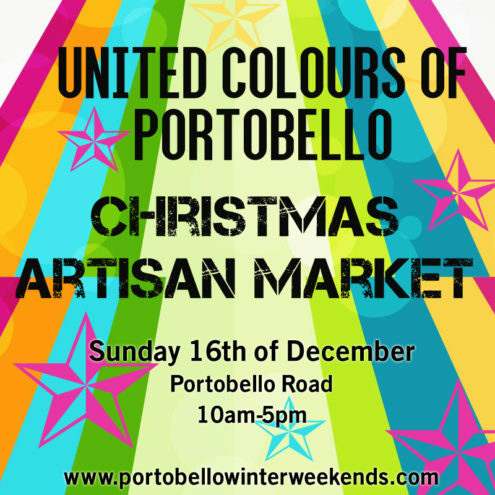 On Sundays Portobello Road will be closed for special festive Sunday market action including The United Colours of Portobello Christmas Market brought to you by Portobello Green Market and I Love Markets held on Dec 2, 9 and 16. 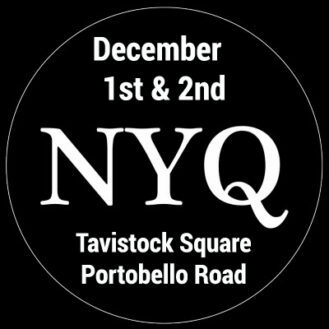 On December 1st and 2nd visit the New Youth Quake Market on Tavistock Square, in support of small business Sunday! 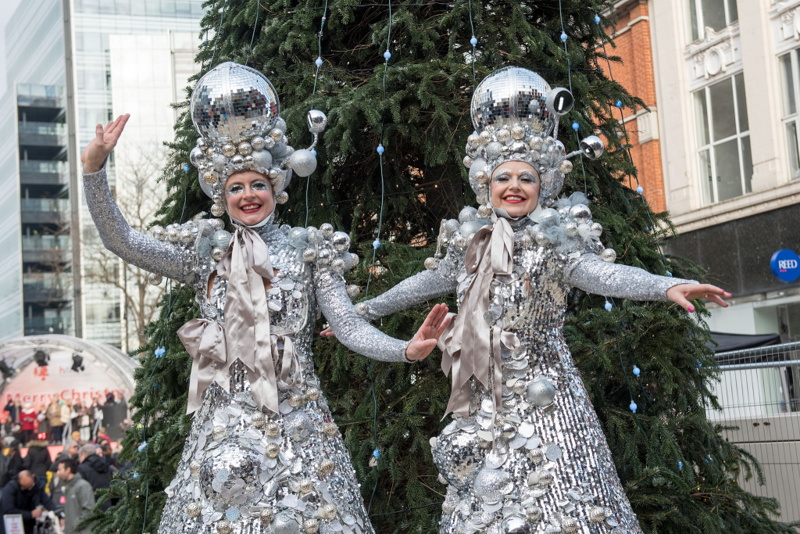 As part of the audacious Marylebone Christmas Lights Switch On Festival- Cabbages and Frocks Market will be embracing the Christmas spirit and holding the first of their big Christmas Markets. The Lights-On festival takes place on Wednesday 14h November and starts at 3pm. 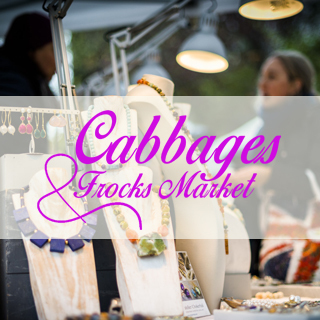 Cabbages and Frocks Market is open from 1pm-7pm. Find out more. Add some festive retro dazzle to your Christmas! 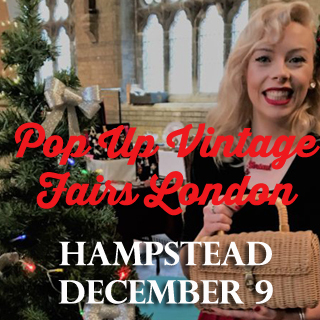 Pop-Up Vintage Fairs London will hold several festive fairs in London in 2018. For an alternative Christmas shopping experience add these dates to you diary! Whilst your there you can also find yourself a show-stopping, glitzy Christmas party dress. 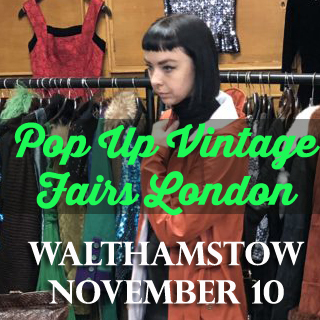 Pop-up Vintage Fairs at Walthamstow Assembly Hall on Saturday November 10. Find out more. 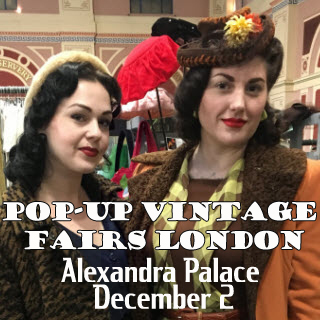 Pop-uP Vintage Fairs Alexandra Palace Antiques & Collectors Fair on Sunday December 2. Find out more. 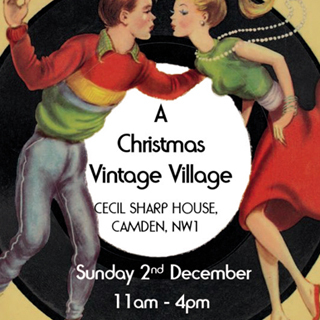 Pop-up Vintage Fairs Xmas extravaganza at St Stephens Hampstead, Sunday December 9. Find out more. The Christmas Season at Greenwich Market starts with a bang on Wednesday 21 November with the Lantern Parade and Christmas Lights On which is always a joyous celebration great for children and families. In addition to the weekend arts & crafts market, Greenwich Market’s Late Night Wednesdays in December are just the place to find the perfect arts and crafts Christmas gifts. Children will love to visit our dazzling Santa’s Grotto! Fun for all the family. Find out more. 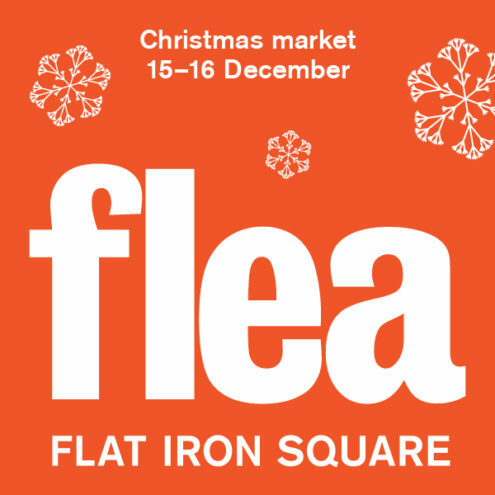 Head to the FLEA at Flat Iron Square on December 15th and 16th for their bumper Christmas weekend. You’ll find a festive mix of great vintage stalls alongside makers,so some great Christmas gift shopping to be done. 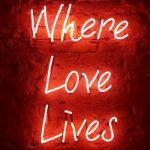 Just 5 mins walk from Borough Market in London Bridge, The Flea at Flat Iron Square is a great little market with an eclectic mix of stalls. Once your done here, you can head to Borough Market for some festive food shopping. Find out more. 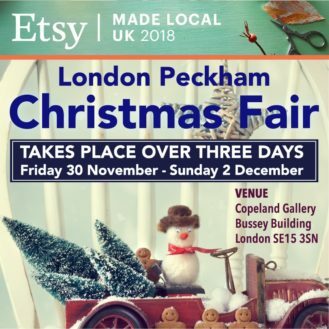 Etsy Made Local Peckham Christmas Fair organised by the South East London Etsy Team of Sellers. The fair is a three day event starting Friday November 30 at 3.30 – 9.30pm and Sat Dec 1 and Sun Dec 2nd, 10am – 5 pm. All your Xmas shopping under one roof with a variety of handcrafted, vintage and up-cycled finds. Find out more. 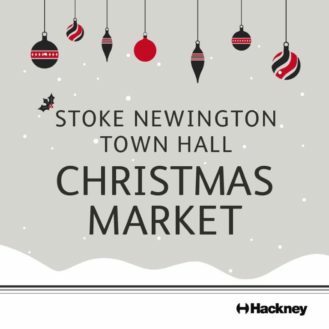 Visit Stoke Newington Town Hall this December 8th for our much loved Christmas market in one of the most stunning locations in the area. This traditional indoor market will play host to a range of fantastic retailers offering exquisite gifts for loved ones or those last minute stocking fillers for the kids. Find out more. Mid-century Christmas shopping, DJs and alcohol, that’s what Christmas is all about! Presented by Hotties Vintage and the Chicken Shack. Held at Cecil House, NW1 on December 2. Find out more. Hot Pick! 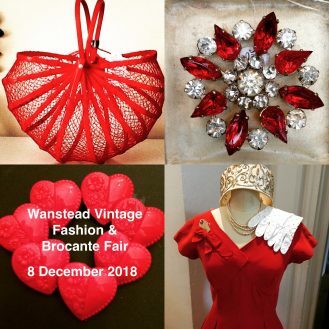 Wanstead Fashion & Brocante Fair – Christmas Special! Two halls filled with genuine, affordable vintage fashions and accessories. Home decor, furniture and interiors also there to inspire you, find furniture, homewares, collectables and brocante items. As it is their spectacular Christmas fair you’ll also find vintage gifts, party outfits and stocking fillers – not to be missed. Find out more. So Last Century will hold a special Christmas edition of their vintage and retro fair on December 16. Discover 25 top-quality,hand-picked vintage traders inside the brand new Boxpark, selling a wide selection of unique and unusual gift ideas for friends and relatives. Find out more. 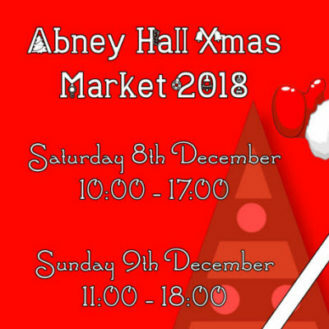 Abney Hall Xmas Market in the heart of Stoke Newington! A variety of goods for sale. festive gifts, retro and more. December 9th and 10th. Find out more. Everyone loves a cheesy Christmas! Get inspiration for your Festive Cheeseboard on Wednesday 12th December, Borough Market will be holding its annual late night shopping opportunity ‘An Evening of Cheese’, offering customers a chance to consult with more than 20 of Borough Market’s renowned cheesemongers. Find out more. 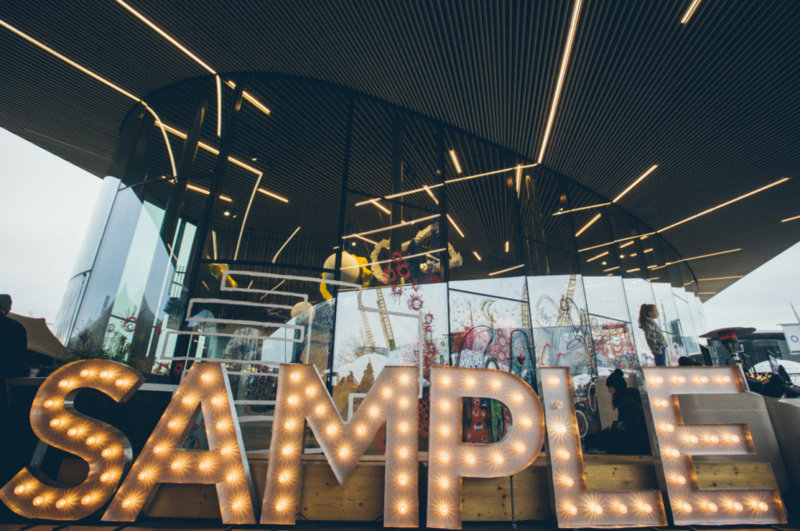 Greenwich PennisulaPresents SAMPLE CHRISTMAS, returnsin 2018 with a unique and festive edition of its vibrant urban market, SAMPLE, curated by HemingwayDesign. Over the weekend of Saturday 1st and Sunday 2nd of December, the Peninsula will host what is set to be London’s most creative festive experience. Find out more. Are you ready for some Christmas shopping with soul? 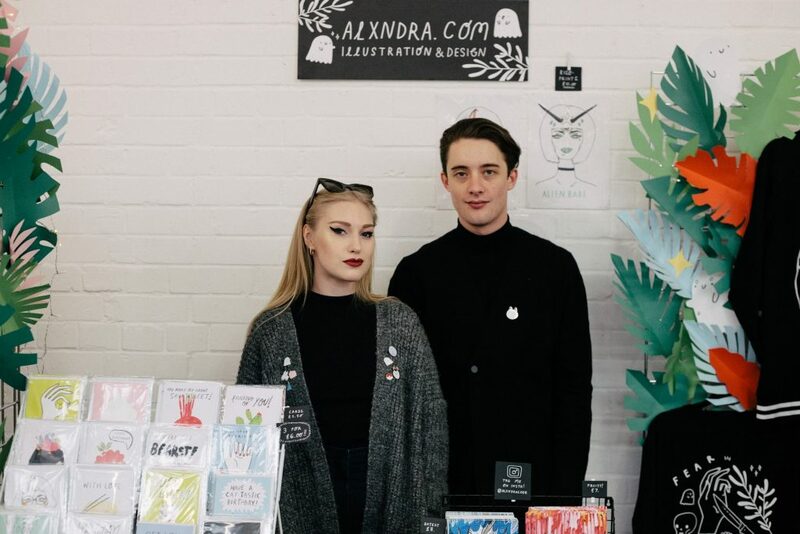 The Crafty Fox crew will bring an army of talented crafters to the awesome Mercado Metropolitano, 5 mins walk from Elephant and Castle or Borough station. Crafty Fox is not just your average craft fair. You’ll find plenty of inspiring and creative gifts with a modern and fresh twist. The American Renegrade crew head to Brick Lane offering Londoner’s some state side cool! Find designers and makers showcasing their gems. An excellent place to find original Christmas gifts, come along on December 15th and 16th for unique Christmas shopping. Find out more. Hampstead Village Christmas Fair takes place on December 2nd on Hampstead High Street. It is a traditional family-friendly festive party, designed to get everyone into the spirit of Christmas! Find out more. On Sunday December 2 celebrate Christmas on Elizabeth Street when it is transformed into a winter wonderland for the annual Belgravia Christmas Sunday London SW1. Find out more. Get into the festive spirit early this year at the traffic-free Hammersmith Christmas market on Saturday 1 December from 10am to 5pm. Once again, the bustling King Street will be full of stalls, food and street entertainment, with live music performances across the pedestrian-friendly market and on the stage at Lyric Square. Find out more. Explore the festive fun-land of seasonal food, drink and gifts at the annual winter extravaganza in Fulham on Saturday 15 December from 9am to 5pm. Why not spend the day shopping for Christmas gifts at the traffic-free market in North End Road with more than 150 stalls including arts and crafts, clothing, fashion accessories and much more. Find out more. Urban Makers East Christmas Market takes place on December 8 and 9, 2018 at the Mile End Ecology Pavilion. It will be bursting with creative cheer, with over 50 designer makers trading each day selling jewellery, art, ceramics, textiles, homewares and more. Find out more. SEE our WHAT’S ON calendar all of London’s upcoming Christmas Markets in London this Christmas 2018.